Aside: I’m unhappy with the current incarnation of DawgTransit. It is the very definition of hacked together and it was my very first “big” web application. So, in the time honored tradition of developers everywhere, I’m embarking on a re-imaging/overhaul of the site. I *just* got started so I don’t have anything major to show. The first change to happen will be an overhaul of the homepage. Based on the stats (h/t StatCounter.com), most people arrive at dawgtransit.com by searching for specific bus routes which often leads them directly to the specific bus route page. 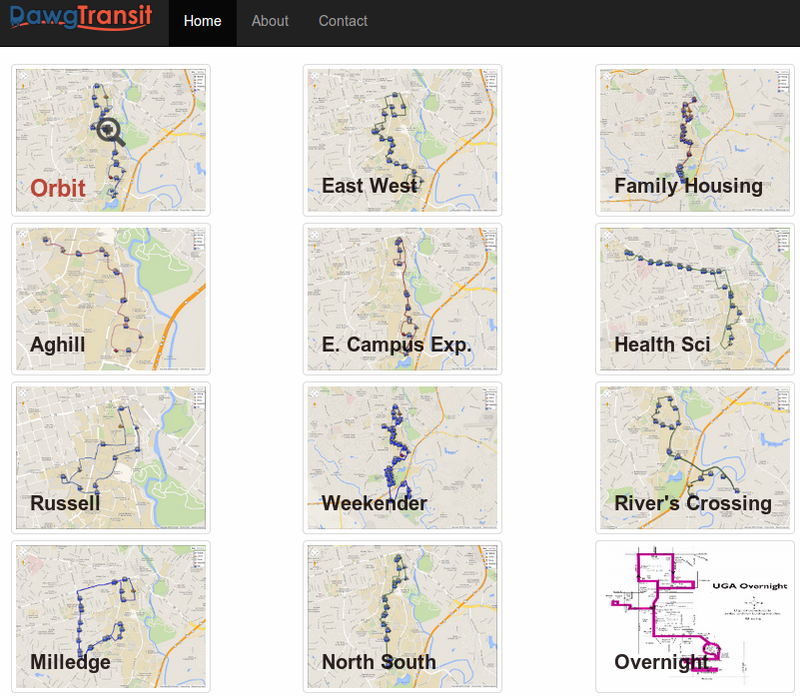 So, the screenshow below is an example of an interface that will allow the focus to be on the bus routes. For displaying information about the routes, I would like the map to be the focal point of the page and I’ll be working on some ideas for that.